As we conclude our series on how we read the collection of ancient writings that make up our Bibles, we turn to the final book of the New Testament: Revelation. Often seen – particularly in the last half of the 20th century to today – as an as-yet-unrealized prophesy of the end of the world and the second-coming of Jesus. 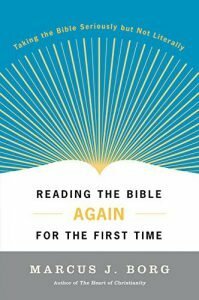 But what if there’s a faithful way to read Revelation that is different? Indeed, the book of Revelation divides the modern church, with some readers and preachers choosing to avoid it as a matter of course. But Revelation isn’t only a revealing or an unveiling, but also a letter written to seven Christian communities in Asia Minor. Consider reading revelation not in sections of verses, but as an entire epistle. Then, pay attention to the full arc of the narrative to get a glimpse of what Revelation’s author may have been trying to say. 1Then I saw a new heaven and a new earth, for the former heaven and the former earth had passed away, and the sea was no more. 2I saw the holy city, New Jerusalem, coming down out of heaven from God, made ready as a bride beautifully dressed for her husband. 3I heard a loud voice from the throne say, “Look! God’s dwelling is here with humankind. He will dwell with them, and they will be his peoples. God himself will be with them as their God. 4He will wipe away every tear from their eyes. Death will be no more. There will be no mourning, crying, or pain anymore, for the former things have passed away.” 5Then the one seated on the throne said, “Look! I’m making all things new.” He also said, “Write this down, for these words are trustworthy and true.” 6Then he said to me, “All is done. I am the Alpha and the Omega, the beginning and the end. To the thirsty I will freely give water from the life-giving spring. What is your understanding of the book of Revelation? Have you read it in its entirety? Why or why not? What is your emotional response? Fear? Hope? Something else? Where does this response come from? Sunday’s message concluded our series on how we read the ancient collection of sacred texts that are compiled into the modern day Bible. The series as a whole has balanced an academic analysis with a spiritual dedication, all with the intent of helping us to experience the living God through reading scripture. This final sermon’s analysis of Revelation helps us to consider the context of its time in history as well as its author. In doing so, it is possible to faithfully read Revelation differently, with new eyes; and to find hope and grace rather than fear and desolation. We are reminded – as in Nadia Bolz-Weber’s words – that dominate powers are not ultimate powers. During the message, Adam noted that the book of Revelation was originally read all at once rather than in smaller sections (chapters/verses). How might reading it this way change the way we understand it? Have you avoided the book of Revelation (as many of us have) because it is so challenging? How might this message help you to read it with an open mind and with fresh perspective? If you would like to revisit any of the sermons in this series, follow this link. What surprised you or stood out to you about this sermon series? What did you learn? What helped you the most? This sermon was framed in the idea that reading the Bible is a sacrament – a way to be directed toward a spiritual experience of God. How do you understand this? Have you had a spiritual experience of God through reading scripture?